This downloadable PowerPoint roadmap template was created to help business professionals communicate the strategic direction of their project in a clear, simple way that is easy for their audiences to follow. 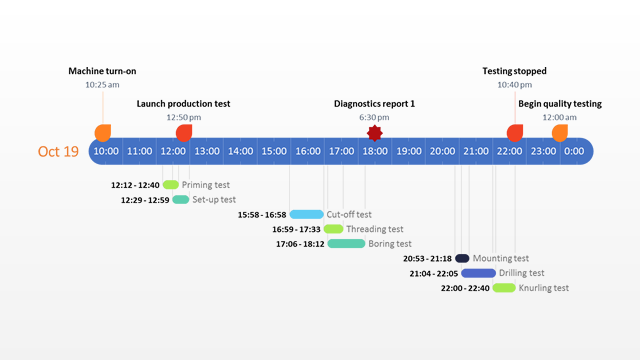 Although roadmaps are generally associated with product planning and development processes, the template can be used in other areas as well. 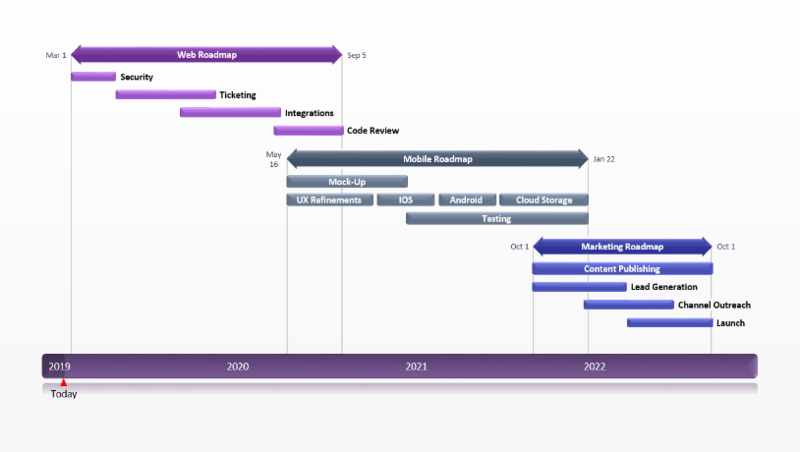 For example, marketing or sales teams, architects, program planners and project managers can all benefit by communicating their vision and initiatives through a visually-appealing roadmap. 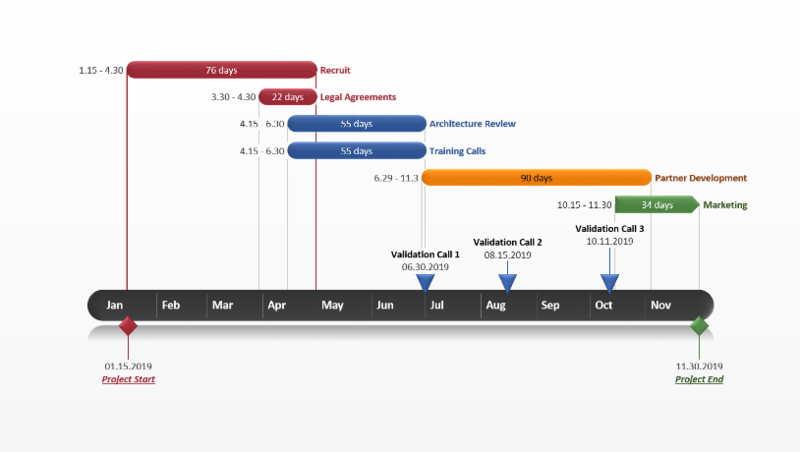 As can be seen from the preview, the PowerPoint roadmap template does not dive into granular details such as specific dates for each task or feature, resource requirements, or other minutiae. Instead, it describes the project strategy in big strokes, grouping initiatives into logical themes or categories. Such an approach can help professionals keep the roadmap at a high level and make it easier to grasp for clients and executives, who usually don’t have the time to rummage through complex documentation to find out what they’re really interested in: whether the proposed plan fits their goals or the strategic direction of the organization. Manually, using PowerPoint’s controls to change texts, add or remove tasks and dates, or adjust the taskbars’ length and position. 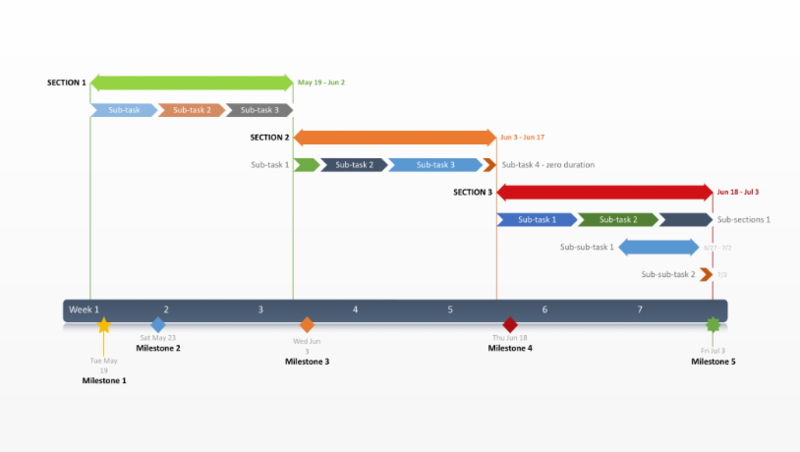 Office Timeline is an intuitive tool that plugs right into Microsoft PowerPoint and enables users to quickly build, customize and update roadmaps, timelines and Gantt charts. 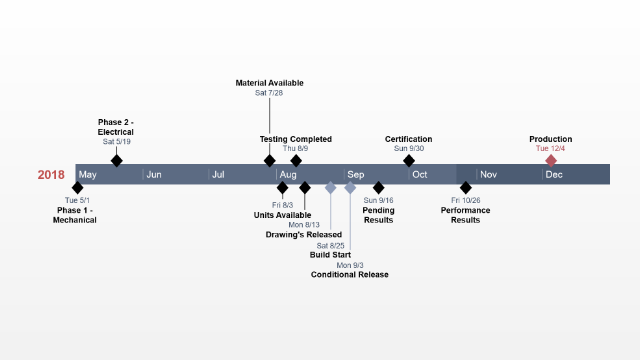 Project and product managers can use the timeline maker to easily edit the roadmap template with their own data and update it automatically as plans change. The plugin enables users to add extras such as percentage complete or task duration, or change styles at the click of a button to instantly adapt the visual to different audiences and create presentations that stand out.